Florida is a very diverse state, and to find the best grass for a Florida lawn, it is essential to choose a variety that is adapted to the area. The northern areas are much cooler than the south and Panhandle. Some grasses will do well along the coast but die out in central Florida. Grasses exist for both warm and cool seasons, so take this into account when choosing one for your lawn. Plant grass in late fall, winter or spring if you live in south Florida. In north and central Florida, plant grass in the spring or fall. Choose a grass that is suited to warm, humid climates if you live in the southern part of Florida and cooler climates in northern Florida. The air also has a high salt content because of the ocean, so the best grass for lawns there must be able to tolerate the salty conditions. Plant Florida grass that thrives in many soil types. It's much easier and less time consuming to choose one that can deal with loamy, sandy or clay soil. This way you do not need to add amendments such as compost to make your soil perfect. Use St. Augustine grass in Florida. It's the most commonly grown grass there and is native to coastal regions. St. Augustine grows very well in the Sunshine state and there are several cultivars available at nurseries, including Amerishade, Classic, Floralawn and Raleigh. Plant ryegrass or tall fescue in northern Florida. Tall fescue does well in shady areas in soil types with a pH between 5.5 and 6.5. 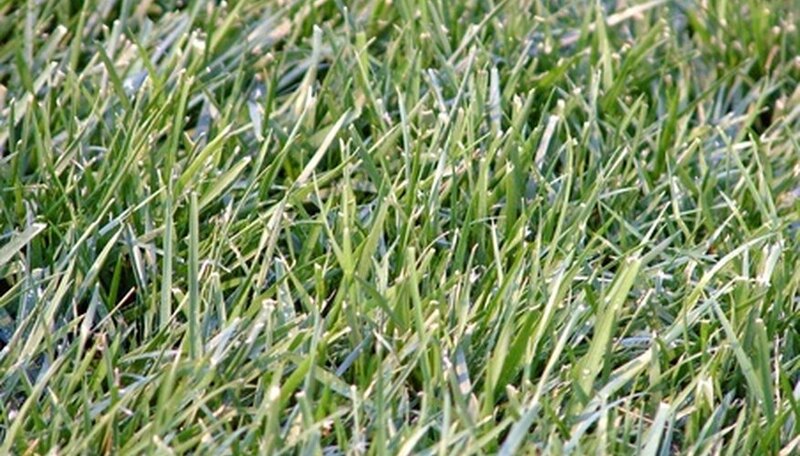 Ryegrass is used to overseed or provide a green color to lawns in the winter. Consider warm season grasses such as Bermuda grass, carpet grass, centipedegrass, seashore paspalum, Bahia grass or Zoysia grasses. Bermuda grasses thrive throughout the state except in shaded areas. Carpet grass does well in low, wet soils in central and south Florida. Centipede grass is grown in the Panhandle and north Florida and offers a low-maintenance lawn. Seashore paspalum grass is perfect for very salty areas. Bahia grass is grown on the sides of roads, but it's meant for a residential lawn. Zoysia grass grows slowly and isn't very tolerant of drought but makes an excellent lawn. Water St. Augustine grass during dry spells. It will turn brown without supplemental irrigation. It also turns brown in the winter.